Living Dead Dolls Series 22 Twenty Two Variants Xero Patience Rotten Zombies Living Dead Dolls at WackyStacker.com of Horror & Laughs! Six rotting corpses, freshly reanimated, shuffle forth from their tombs and into the night. They search for brains�try to be open minded! When there is no more room in hell, dolls will walk the Earth. 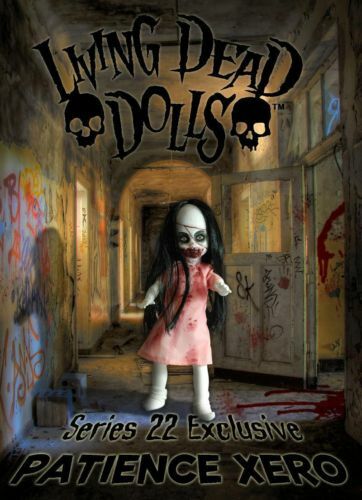 The 22nd series of the Living Dead Dolls, pays tribute to the creatures that first inspired the creators more than a decade ago: Zombies! This variant set features all all new black and white color scheme.